The A.V. Club: You co-directed Slumdog Millionaire with Loveleen Tandan, who's cast and crewed films in India, but never directed before. How did that come about? 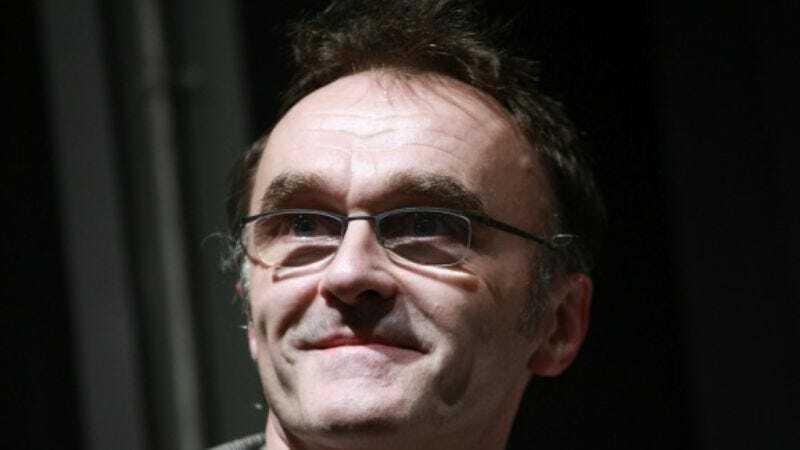 Danny Boyle: I did five months with her beforehand, casting. It's quite a big cast, in terms of regular people, and then there's all the kids, and they have to connect with each other and make sense as growing people. So we were working together every day, pretty intensely. And the film began to be influenced by her. I could feel that—you just do—because obviously I began to talk to her about stuff that initially people probably wouldn't tell you about, stuff that she didn't think was accurate. So it became clear to me that I needed to carry that into the film with me. Not just because the little kids weren't very good at English, they were really only Hindi speakers, not just for translation reasons, but because she was beginning to influence the film. She wants to be a director herself. It's very difficult there, I think, to start off directing, particularly as a woman. Eventually, I sent her out on a second unit, because the stuff that was coming back out of second unit wasn't very good. It needed a director there. And she did some lovely stuff with them, brought back some lovely stuff, so it felt only right to call her the co-director really, and hope that will give her a leg up in her career. There were a couple of other people as well who I couldn't credit as much as her, for technical reasons. There was the first assistant director, this guy Raj Acharya, and also the live sound guy, Resul Pookutty. They again were like Loveleen, they had a major influence on me. It would have been a quarter of a film, really, without their influence. AVC: Was there any question about whether to film it in India, instead of on a soundstage, or locally? DB: We went there, and the production company that was helping us do it, India Take One, most of the films they make are Bollywood films. They know what India—especially Mumbai—is like to film in. They were trying to influence me to shoot in the studios the whole time. It felt to me like the flavor of the film—the city was a character, obviously. It's a bit of a cliché to say it, but it's true. It really felt like it was. It would be like if you did a film about New York, and you did it all in a studio. There would be something apathetic about it, which might be the effect that you were after. But if you wanted a kind of realism, something that felt real and was being told from the point of view of a kid, you've got to film it in the real places. Also, just as a director, it's only by doing that you get any chance, as a Westerner, of actually being able to represent life truthfully. I couldn't fake it in a studio because I don't really know what India is like, so it just makes so much sense to do it where it belongs. It's a street film, really. It's about a kid from the streets, and so you've got to make it in the streets. AVC: What's it like going from something that's so interior and claustrophobic and set-bound, like Sunshine, to something that's based on being outdoors among huge crowds of people? DB: Incredibly liberating! [Laughs.] As you can probably tell from watching the film, I just went mad for it, really. I'm sure it was partly the release from coming out of a studio environment. I found it completely liberating and enjoyable. Not everybody did. We took about 10 crew members from Sunshine, and I would say three or four of them really didn't enjoy being there, but I loved it, and they had to drag me away at the end. They had to drag me back to England to edit it. [Laughs.] I loved it, and I'm sure some of it was the contrast to Sunshine. But a lot of it is also that if you approach India in the right way, you have so much to learn there about people, and there's so many people. It's such an extraordinary setup, and it's so bewildering how it manages to get through somehow, you can only wonder at it. I loved it. I don't want to say I fell in love with it, but it obviously was a bit like that. AVC: How much of what we see in the film is a real, raw India, vs. built sets or compositing? DB: Oh no, no special effects or compositing. AVC: The gigantic tin-roof slum looked created. It's a real place? DB: Oh yeah. [Laughs.] Dharavi is a lot bigger than that. It's supposed to be the biggest slum in the world, with about two million people in it. We didn't do much CG. Most of it was the kids chasing the train, that was dangerous with kids, so we had them on wires in case anything happened, so most of our special-effects budget went to removing the wires. The Taj Mahal was CG, because they won't light up the Taj at night. So you have to photograph it in the daytime, and the computer turns it into a night shot, and then you film a night scene and you put the Taj out there—the CG and the Taj and the darkness, as though they're doing the opera near the Taj. So that was a CG creation, but virtually all of it is real, and I wanted that, you know. I had just made a film that had been quite CG. I tried to make Sunshine with as little CG as possible, but there's still a quite a substantial amount of it. AVC: Were there places it was difficult to get permission to film? DB: There's lots of things that can be solved with cash. [Snickers.] And there's occasional things that can't be solved with cash, which become a bureaucratic nightmare for some reason, and there's no distinction between the two. There's no way of reading a situation and saying, "Yes, that'll be a bureaucratic nightmare, but that one we'll be able to buy off." It just depends on the day, apparently. The most extraordinary thing, you'd be given permission for, and then the weirdest, simplest things, you just wouldn't be able to obtain permissions. And it would go on and on and on forever and ever, and there was no way to know. You have to kind of approach it with an open, quite optimistic mind, no matter what's thrown at you, because it will only ever result in damaging the film if you let any kind of despondency get to you. You have to remain optimistic, and that's clearly how people live their lives there. Against all the odds, they retain kind of a spirit which allows them to get through against insufferable odds. The poverty, the traffic, the lack of infrastructure, the flooding during the monsoons—there's just so many things that are coming at you at the whole time that your spirit has to remain, and that's certainly true. It enters the minutia of filming. AVC: What kind of weird, simple thing could you not get permission for? DB: We wanted to do an aerial shot, very simple from a helicopter. I think the guy at India Take One thought, "They're cool. No problem. We'll just ask the right guy, and that'll be fine." But in fact we came across the guy and he made us go through the whole administrative process, which meant we weren't allowed to take up—no Westerners were allowed in the helicopter, and it would have to be an Indian cameraman. So we nominated our second-unit cameraman, who was a native Indian, and we duly applied for permission. This started about 18 months ago. We applied for permission, and I kept asking every couple of months about it, and it was making its way through gradually. It was in Delhi, and then it was somewhere else. Two or three weeks before the Toronto Film Festival, we finally got permission to shoot from the sky in India. You just politely nod. Obviously, the film was locked by then, so it was no good to us. India Take One, which had applied for it, was happy, because they'll sell their permission to someone else, through another film crew who won't need to wait 18 months to get permission. And we already, of course, had been up in a helicopter with a cameraman. I had already taken up this still camera which shoots about 11 frames per second, because it just looked like I was a tourist going up there taking a photograph. And then we used that. So there's always ways around these blocks, but you just have to remain optimistic the whole time. Otherwise, it just crushes you. AVC: You portray the police in Mumbai as corrupt and violent, using torture pretty casually. Was there any script oversight from the Indian government? Were things like that a problem? DB: Yes, there is significant script oversight. You're made to submit everything that you shoot to the Indian government before you shoot it, and once you've shot it, before the film is ever seen in any capacity, it has to be censored by the Indian government. And if you try and smuggle film out, it will be confiscated at the borders and will probably spend many, many months being vetted, so it's pretty emphatic. Of course, the truth is, it doesn't quite work like that, like everything in India. For instance, the police-station scene you're referring to, we had to submit that, because it involved a police station, and we needed to get in and see police stations. We were expecting, as you were probably hinting—you'd think that it'd be trouble there. So they sent back a written response saying that the scene was fine, but it was very important that no one involved in the torture be above the rank of inspector. And that was it. And that tells you everything you needed to know, that it goes on all the time, and they're just protecting the big guys from any involvement. We went around the police stations, and you can see the equipment. It's not hidden away. [Laughing.] It's right there in the corners, you know, these different bits of equipment. And you talk to the local people on the crew, they'll say, "Yeah, if you're from a certain class, and you are arrested for anything other than a traffic offense, you've got a chance you're going to get knocked about a bit." The scene, the way I directed it, it's slightly comic, but of course it's resonant in the West, at the moment especially. In America, nobody laughs. It's taken very, very seriously, as though I'm trying to make a point about torturing, whereas, in fact, it was a reaction, like everything in the film, to India and what goes on there. I thought it was a comic scene, really, in a way. If you look at it carefully, it is played as a comic scene. The actors were supposed to play it like that. One says, "What have you been doing all night?" and the other says, "You know, just giving him some electricity. That'll loosen his tongue." It's played in a slightly comic level, but it screeches in silence [in America.] Understandably, of course, but it is screeching in silence. AVC: Do you have to worry as a director how things will play in different countries, based on politics and the current situation? DB: No. You worry about everything, but you can't over-worry about stuff like that, because the film was meant to be from the perspective of these kids; shot as a subjective experience. You take a limited amount of money for it, and it doesn't have to answer some of the questions you're suggesting on how Western audiences will view it. It's protected in that it's made quite frugally, so we can tell it the way we want to tell it: truthfully. Each of the scenes feel truthful in the way we made them. Certainly the perspective on poverty is interesting and a mental challenge. You go in with your inbuilt morality and you're very shocked and concerned and horrified by seeing children who have been maimed to make them better beggars. Their lives have been dictated by that. But from their perspective, your chance of changing that is nonexistent. You have to see it internally, from their perspective. Their view on destiny is keen. It's very hard to get your head around. For us, destiny always feels… if you obey, it's almost a passive thing. I didn't think that was admirable, but when you get there and see the way it works and the connection that's there between people, it's not just about the destiny of someone who has been crippled like that, but it's also about someone who has benefited from destiny and goodwill. Like [Slumdog co-star Anil] Kapoor, he's a big star, and he feels connected to that guy in a way that we don't really do anymore. He feels a connection because of the role of destiny. It's very complex, and if there was a perspective, that's what I would go for. Not the Western perspective of "Is there anything we can do to change these people's lives?" That didn't feel an appropriate way of approaching it. AVC: You make a lot of films about lower-class people fighting to get into the upper class. What is it about that theme that draws you, and how does that fit in here? DB: Well, the lead character, his destiny is ambitious, really. It's about the girl, and he just uses the show and the cash that's on offer. He's not really that interested in it, he's just using it as a tool to try and get back to what he sees as the love of his life. His feeling of destiny leaves him liberated and able to contradict what is apparently the life that is set out for both him and the girl. I'm drawn to the underdog story, I guess, because I come from quite a simple background, and I've come into a business where a person with my background wouldn't normally appear. I guess there is some of that in it, and that draws you to that kind of story. It's partial though, it's not really a crusade. It just seduces you when you read a story and your brain relates to it. You recognize or connect with it. You identify with it; you're bound to. AVC: In one interview, you talked about the vibrancy of the East, and how we have insulated ourselves from realism in the West. Do you have a theory about why that's the case? DB: I think it's not so much East-West; I noticed it because Simon [Beaufoy, Slumdog Millionaire's screenwriter] said that the way it was written felt Dickensian. One of Dickens' biggest influences was the growth of London as a Victorian city, and the extremes being created as it expanded. The poverty and enormous wealth—it felt like a city in fast-forward, and that's what Mumbai felt like when I was working there. The extremes are available, and you can still tell melodramatic stories, and they feel realistic. In the West, those extremities, which we still want to see, are placed in fantasy movies. I'm sure that's one of the reasons superheroes and fantasy have become so dominant in the last 10 or 15 years, culturally. The more realistic stories tend to be gentler and softer-edged. Not so extreme in the sense of melodrama. You can exploit it, as a storyteller, for quite extreme subject matter. People say about Slumdog, "Did you imagine that the horrific scene of a kid being blinded and the happy dancing scene would blend together?" You don't think like that. You imagine they will go together because they both feel realistic in that city. You imagine they will gel, and you don't realize the contrast until afterward, when you try to analyze it in interviews. AVC: What was it like putting the soundtrack together? DB: Oh, I love the soundtrack, absolutely adore it. It was fantastic, it was very simple. It was just a case of getting this guy, A.R. Rahman, to do it. He's the most famous composer in India. He really is absolutely brilliant at his work. All I said to him was "Just use what's around at the moment, because it is extraordinary there at the moment." They make a thousand films a year, and songs are really important in their films, so he has a huge experience and knowledge and gift for writing songs for films. I like working with songs anyway. I tend to score with songs from Western pop music. So that suits me anyway. But India has this huge tradition, ultra-classical, the sitar and all that. Modern classical Bollywood songs are very string-influenced, with almost hysterical strings. But you've also got hip-hop and R&B; coming in from America, a massive influx of that, and from Europe, you've got disco, house music. And it's all fusing together in their music. That's what the Slumdog soundtrack is full of, that kind of fusion. I said, "Just go with that, and don't make it smooth. I don't want the film to feel smooth. I want it to feel jagged, contrary. The things that are captured are clashing with each other," because that's what the city's like, it's a mass of different impulses all the time. Anyway that's how I briefed him, and that was it, really. He doesn't need much help, I'll tell you that. He can really do it. So I'm very pleased with that. It should be up on iTunes. AVC: That sort of jagged quality is common to your films in general—the soundtrack to Trainspotting, the visuals in Millions, the movement in 28 Days Later. Is there something about that texture that specifically appeals to you? AVC: That inexorable forward movement does tend to be a theme in the films you direct—the characters tend to get caught up in situations beyond their control, and while they have choices to make, free will takes a back seat to the circumstances around them. DB: Yeah, I think that's certainly true. I like to put people in as extreme circumstances as possible, and just see what happens to them as people. You don't think of what links all these films together, because you can't, really. Other people do that—journalists, obviously critics. But you don't spend that much time thinking about it yourself. AVC: When we last talked to you back in 2005, you were planning Sunshine, and we talked about your poor-people-trying-to-get-out-from-under themes, and where Sunshine fit into your filmography. You said you wouldn't know what the themes were until you made the film. Did you ever figure them out? Or is that something else you don't tend to think about? DB: The be-all and end-all of movies like that, really, is that you're making your small contribution to space movies. You cannot escape the canon—it just surrounds you every moment that you're making the film. It's extraordinary, really. You try to be original within the genre, but it's very difficult. You learn that very quickly. It's a very narrow place you're working. The landscape is focused. The corridor really is minute. You're thrashing around trying to manipulate the ingredients into an original format. Having said that, I really, really enjoyed the film. How it turns out is sort of difficult. You watch them so often. Everybody expects you to be qualified to talk about your films, but in a way, you're the least qualified person to talk about them. When you're finished, you don't watch them at all. A couple of weeks ago, I was watching a bit of Sunshine over my daughter's back—she had a couple of mates around and they were watching it, and I saw some of it from behind her. [Laughs.] It was really funny—I thought, "Oh, it's quite good, that." But it's weird, the relationship you have with your films. I can't explain it. You should be the perfect spokesperson for them, but you're absolutely not. I could sit down with you and talk to you about it, but it would be a completely distorted experience, because my memories are to do with the horrors of filming it, what I wanted to do and what I ended up doing, and all the things you regret that you never quite managed to do. But I enjoyed the film very much, and I think the poetic idea of the film, of reaching out to a star, I love that, the ambition of that. Because it's ridiculous, obviously. Only a movie would allow you to do that. Or a song. You could write a song like that as well. AVC: When you sit down to make a genre movie, do you watch other things in the canon, to see what's been done and what you have to avoid? DB: Yeah, for sure. One of the biggest impulses is, you want to work, if you can, in an area that you haven't worked in before, because you start from zero. That's the best place to start from, always—knowing as little as possible, and then building up your knowledge. The reason I say that is that I have this theory, which is more provocative than reasonable or fully thought through: Your first film is always your best film, in a way. There's something about your first film that you never ever get back to, but you should always try. It's that slight sense of not knowing what you're doing, because the technical skills you learn—especially if you have a film that works, that has some kind of success—are beguiling. The temptation is to use them again, and they're not necessarily good storytelling techniques. Good storytelling for me is not so much technical expertise, which I know is applauded often; it's actually freshness of approach. Now, it does mean you sometimes stumble and fall and make a horrible mess of things in seeking that freshness, but you should always keep trying to do that. You get lots of young filmmakers coming up, or people who want to be filmmakers, saying "Would you give any advice?" and things like that. The only advice I give is, "If you do get a chance to do it, take risks, because there's no point otherwise. Cinema will die otherwise." There has to be a reason why you go to that room, with those people, and watch 40-foot-high versions of ourselves. And it's not just to see a mirror. It's not to see minute behavior. I think it's to watch the extremes of what you're capable of, often. And storytelling, the freshness of storytelling, is a wonderful combination of extremes for me. So I'm always after putting people in extreme circumstances. I'm always after not knowing what I'm doing in those extreme circumstances. AVC: So do you have tricks to force yourself out of the comfort zone, to keep yourself from using the same technical methods? DB: Well, the main ingredient is trying to work in a world where you haven't been before, that you don't know the rules of. And that involves a lot of research, so you begin to see where the other people have been, but you are starting from as vulnerable and as low a point as possible. AVC: We're hearing news again about how a Trainspotting sequel might be moving forward. What's the latest with that? DB: Ah, well, yeah. That's just waiting for them [the cast] to grow older. What's happening is, we got this idea, and I think it's a good idea, of a storyline, which will be surprising and different, and it won't just be an easy cash-in. It'll actually be the same guys, the same characters, 20 years later. I shouldn't put a time limit on that, 'cause it's not about that, it's about when they feel like they're different people, and they are aging. It's about these hedonists who abused themselves, their bodies, their minds, and everybody around them, at that time of your life when you feel like you can do anything, you're invulnerable. They hit the wall in middle age, when everything stops, and you think, "I can't do that anymore, I will not be able to get away with that anymore." We always thought that's a wonderful idea as a sequel, rather than just a cash-in of doing the same thing again, I just thought that would be very exciting. So that's the plan. The problem is, they don't look any different at the moment from when Trainspotting was made, to be absolutely honest. They look exactly the same. They're a little heavier, but they basically look the same. Actors stay suspended in that timeless moment where they're moisturizing and looking after themselves and making sure they keep fit and healthy, because it's their work, it's their future employment. But when time ravages them, we will be waiting for them. That's what we always say. AVC: Do you keep up with them, or talk to them about your plans? DB: No, not really. It's not like friendship or anything, but the guys all recently came back together again to do DVD interviews. They're planning a new release of the film on DVD, so they all did roundtable interviews and stuff like that. That proves to me that they are prepared to get involved again, so we'll see. AVC: What's your next project? DB: Well, I was going to do an animated film next. Because again, I do believe what I'm saying, I'm not just saying it to you, that you should go back to the beginning again, do something you're not familiar with. I was working with Frank Cottrell Boyce, who wrote Millions. We were working on the script at DreamWorks together, 'cause animated films take forever. I normally only ever do one thing at a time, I normally never double up on what I do, but I was doing that on this one. It's fallen apart, unfortunately, so it's not going to happen. [Animated films are] so expensive and complicated. They're a huge thing. So nothing. I really do genuinely do one thing at a time. It's not the cleverest way in some ways. Your agent says you should have other stuff in your back pocket, but I don't really work like that. I tend to be very obsessive and instinctive and compulsive. Once I go for something, I just go for it 100 miles an hour. And I expect everybody else to behave like that. It surprises writers, but it sometimes helps get better work out of them. Writers are often waiting to be selected from an array of projects that the studio, the director, the star is considering. Whereas with me, it's just, "Let's go! Let's do it now, that's the assignment! Let's go!" And I can see that look on his face, he's thinking, "He doesn't really mean that. We'll go there, we'll mess about, it'll be a year." But no, I mean it. When I say go, we go, and that energy is the single most important ingredient in a film. People talk about being an auteur and all these kinds of things. [Whispering.] I'm not an auteur, because I work with screenwriters, I use their scripts, I follow them very accurately. People say, "Yes, but the instinct is that you choose…" I answer that by saying, "What you're talking about is not important. What's most important on a film is the spirit, in the idea, in the script, in the way it's made." The spirit is the most important single thing, because that conveys more than anything. It's the only thing that will ever allow low-budget films to burst out of the natural economics that confine them, because that allows your money to go a lot further. You persuade the crew with your spirit to work harder for you, so your film no longer looks like a $10 million film, it looks like a $100 million film. And that's what you're trying to do with everything: to make these journeys that are extraordinary to people. That's conveyed to the audience, I think. That's my belief, anyway.